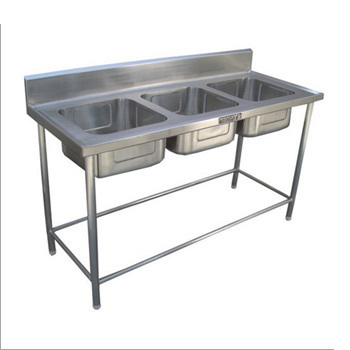 Manufacturer of a wide range of products which include three sink unit, work table with sink and single sink. We are the best manufacturing and supplying company for providing the wide range of Three Sink Unit. Three sink unit offered for washing utensils in dish wash area. Three no. 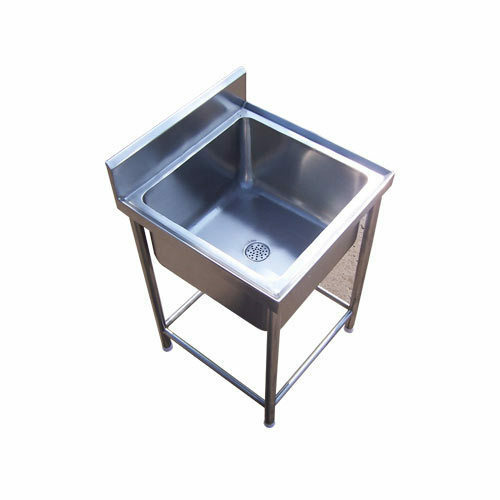 of sinks made up of heavy duty gauge of stainless steel with drain wastes. Table is equipped with 01 no. of pipe under shelf (optional). Provision for Deck mounted Gooseneck tap mixtures (optional). Legs made in 38 mm Square/Round Stainless Steel Pipes. 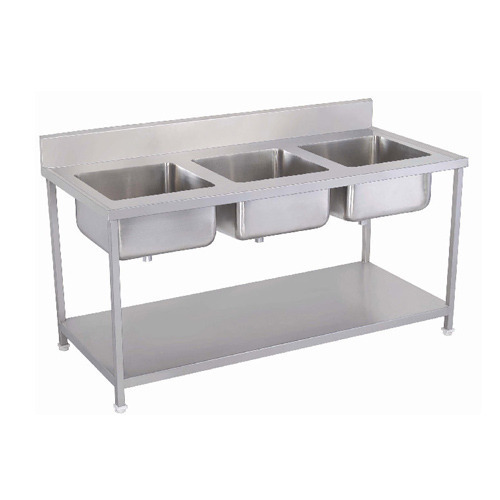 Three Sink Unit can be fabricated in any custom size to suit your requirement. 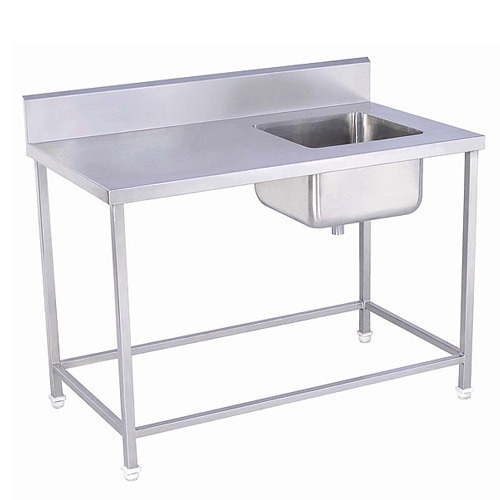 We are known to provide the supreme quality of the Work Table with Sink. We offered Table with sink unit offered for multi utility purpose in commercial kitchen. Table is equipped with 01 no. of under shelf (optional). Sink made up of heavy duty gauge of stainless steel with drain waste. Table with Sink can be fabricated in any custom size to suit your requirement.